Tel Aviv may be known for its gorgeous beaches, party scene, and scorching Middle Eastern temperatures, but it's the food and restaurant community that's helping shine a whole new light on the city. If you're planning a trip to Tel Aviv, look no further, here are the places you need to eat. Their specialty is pita and you'll know why when you go. Roasted cauliflower, baked potato, ratatouille with tahina, baked lamb, and steak and eggs, are just a few of the options on the menu. Miznon was opened by Israeli celeb chef Eyal Shani. Located on the second floor inside the Tel Aviv port food building. This very popular brunch spot is run by the same people as Yona, and is also right on the water with spectacular views. Ask for a table by a window. Also open for dinner. Filled with hipsters and good looking chefs and wait staff. 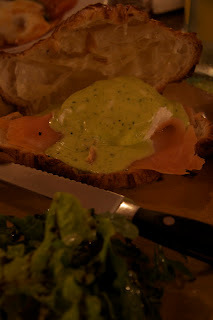 Oh and the very inventive food is quite good too. Asian fusion cuisine comes to Israel and Zepra delivers ten fold. The restaurant itself is a piece of work and so are all the dishes, especially dessert. Right next door to Zepra is a brand new restaurant called Yaffo-Tel Aviv. It's from another Israeli celebrity chef named Haim Cohen. Be sure to try the focaccia bread from their amazing taboon oven. This is one of our favourite spots in town. First of all, it's located in one of the coolest areas of Tel Aviv called Neve Tzedec, on one of the coolest streets - Shabazi. If you like street art, it's easy to spend hours wandering the area. Inside the cafe, sample as many baked goods as you can, but be sure not to miss the chocolate rugalahs. The Dallal restaurant serves equally good food, and is open for brunch, lunch, and dinner. This restaurant is expensive, but there's something special about it, that everyone should experience at least once. The tomato salad was mixed with fresh, grilled, plum, cherry, red, yellow, orange, hot, and cold, and cheese. Genius! The restaurant is inside a small boutique hotel. Good service, good food, and good dessert. 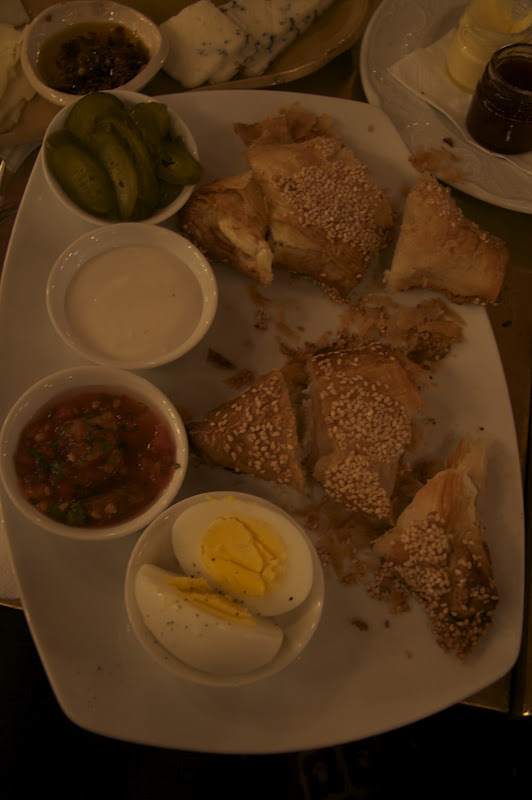 It's considered one of the best restaurants in Tel Aviv. Our most memorable part of the meal was the chocolate bomb dessert. Another really popular restaurant from the same chef/owner of Shulchan. Here he recaptures a kibbutz dining hall experience. Inside this 140 year old Arab building in Jaffa is House No. 3. The couple who run the restaurant are Hamoudi (the chef) and Leila (hostess), and have been doing it for 17 years. After they are done with you, you'll never want to leave. This one is pretty self explanatory and pretty cool. Dizengoff St between Gordon and Ben Gurion. The one hummus place you need to try. On Dizengoff Street, close to Bar Kochva Street. This popular cafe serves delicious salads and sandwiches. It's the perfect place to stop for a rest while exploring the cool neighbourhood. Grab one of their famous flat bagels while wandering around Jaffa. Ask them to heat it up. And be sure not to miss these places we've already posted about.